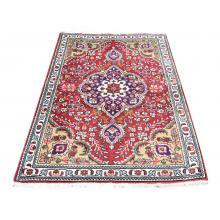 98 X 149 Beautiful Centre Medallion Sheikh safi Design Tabriz Persian Traditional Rug. 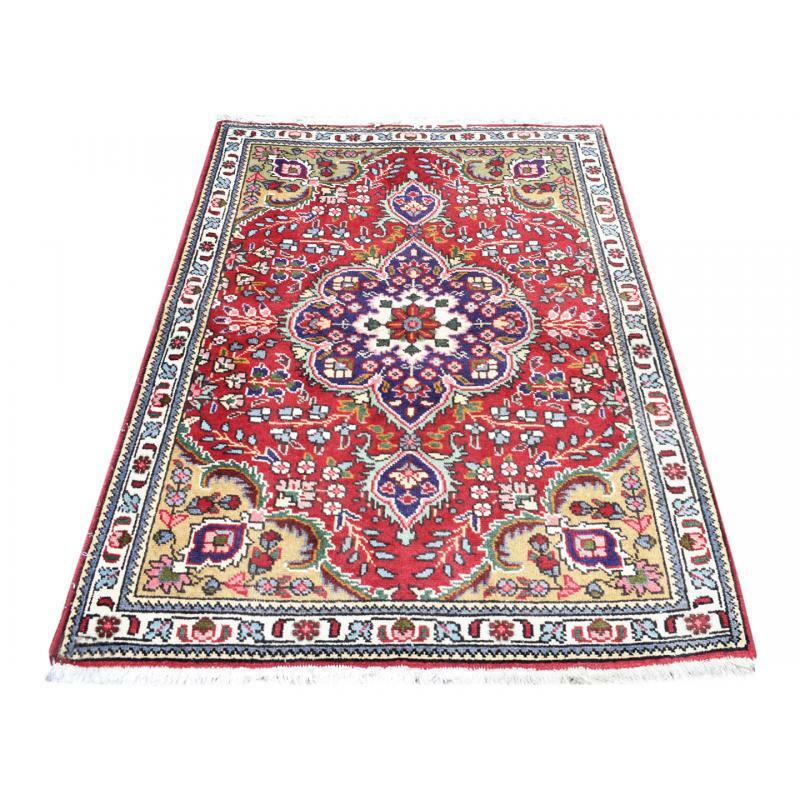 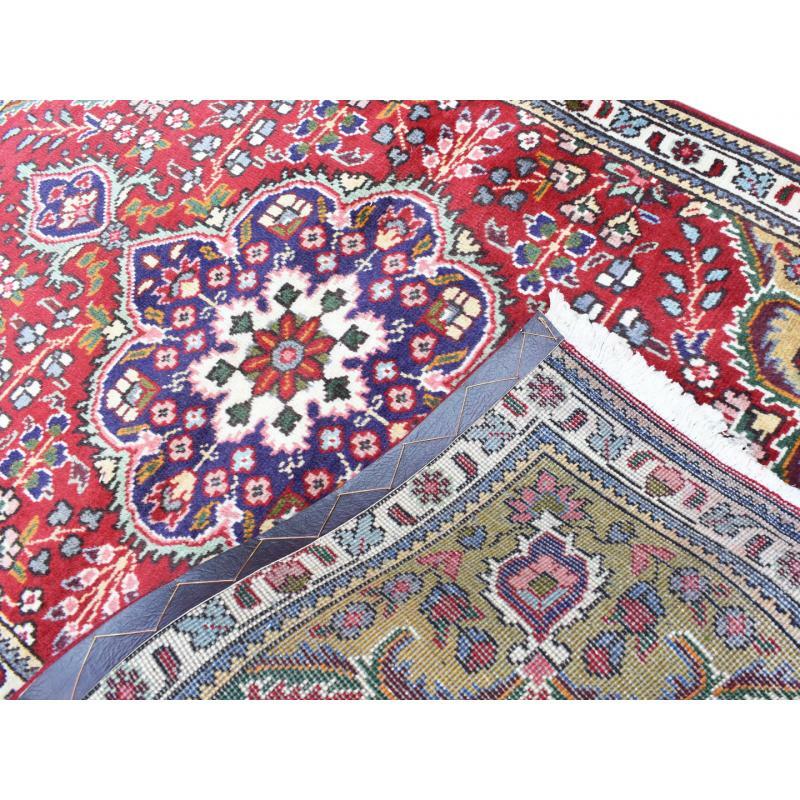 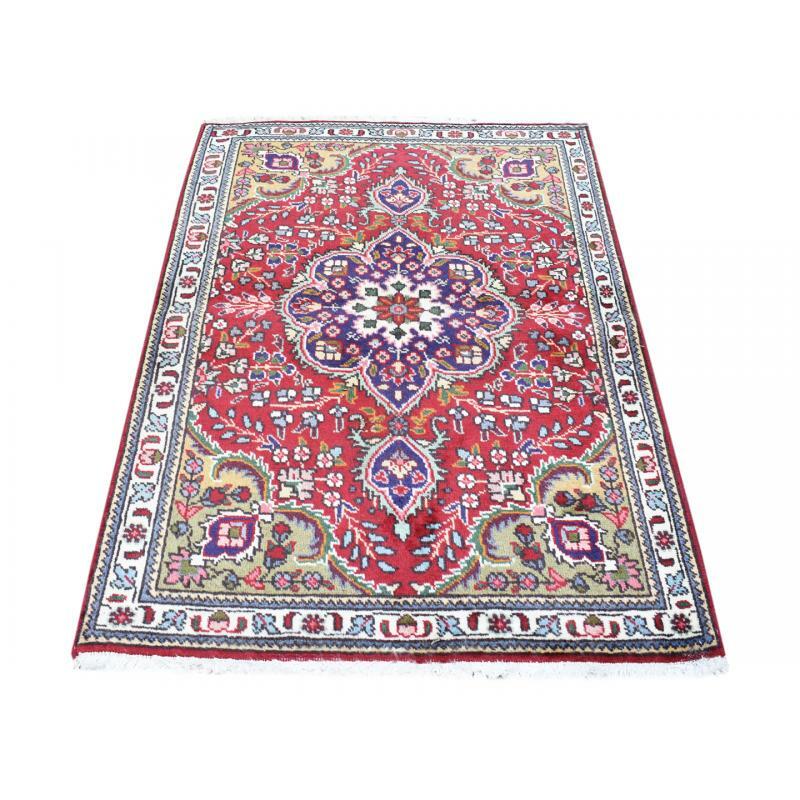 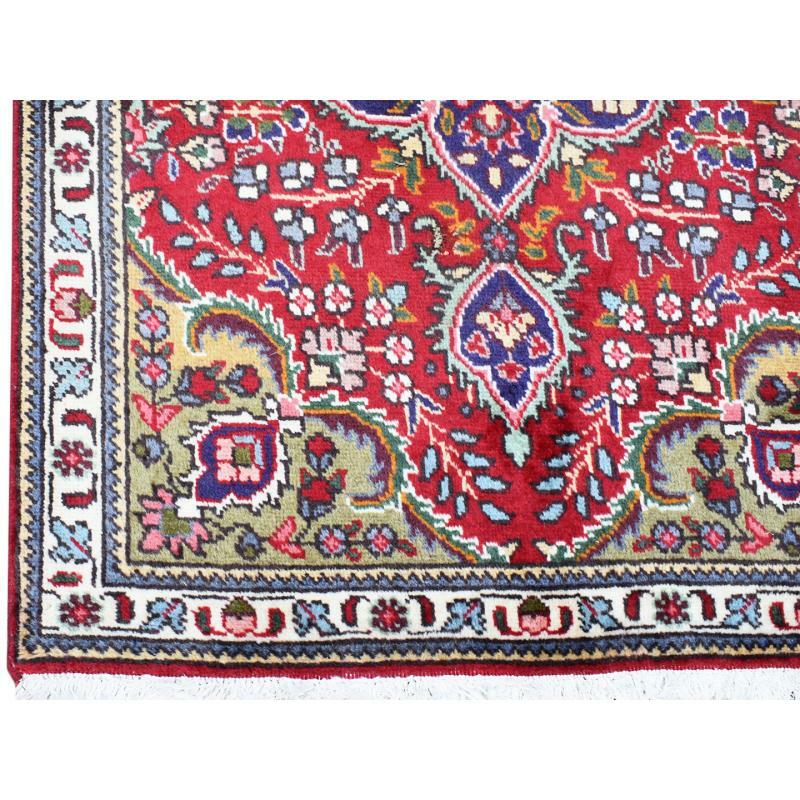 Enhance the decor of your home with this Red, Purple, Cream Tabriz, handmade and hand knotted wool Traditional, Persian rug. 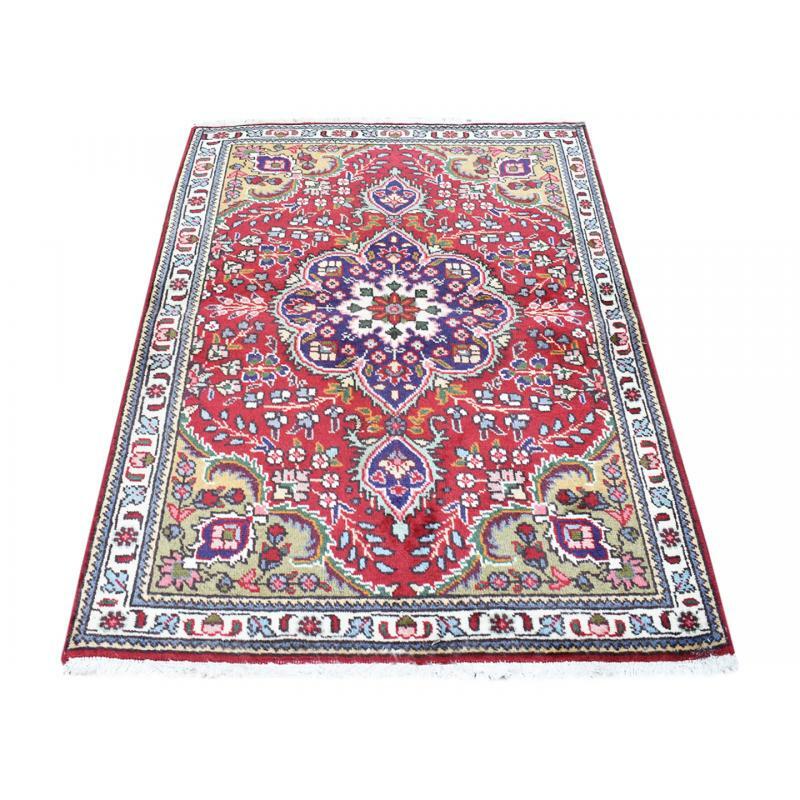 Measuring 3.2 X 4.9 and quality crafted with the superior durability and irresistible softness, this beautiful centre medallion Sheikh Safi design rug can fit anywhere in your home adding more essence and life to it.